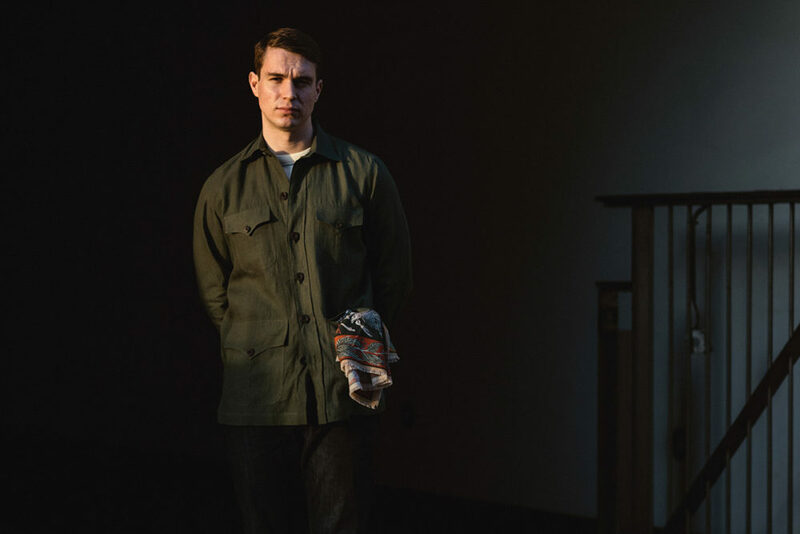 In the first of a series on how to nail the rudimentary elements of menswear, Aleks Cvetkovic opines on the key pieces that make up a contemporary wardrobe. Ah, the age-old art of wardrobe building. It’s a necessity for all of us reading this, and hopefully a passion too. 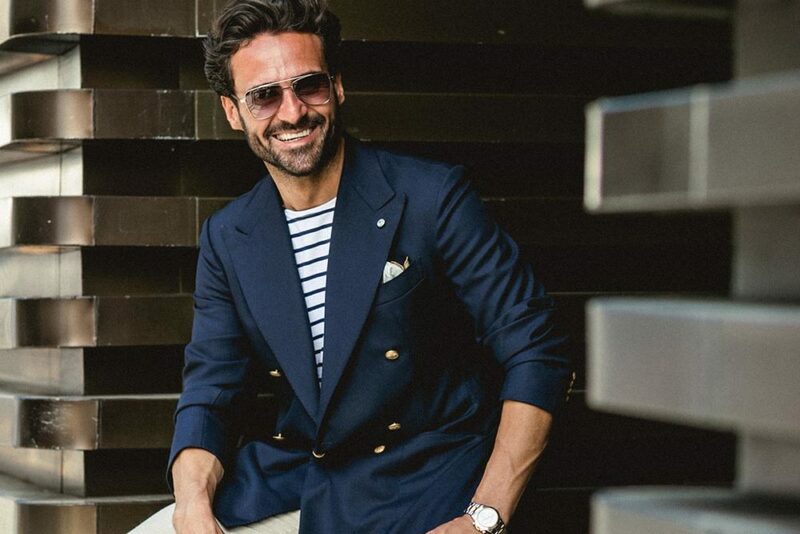 Of course, there’s no shortage of guides out there to investing in the right clothes for certain occasions or events, but building a rakish wardrobe composed of tailored and casual elements that hang seamlessly together is an altogether different process. It is, moreover, a process that even we will admit is more fluid than it might have been a few years ago. Though we admire the triumvirate of suit, shirt and tie, there’s no denying that our three-piece suits come out a little less often these days. So, what are backbones of a contemporary tailored wardrobe? Which pieces have stood the test of time, and which are making a name for themselves today? These eight get my vote. I’m afraid you’ll read this in just about every ‘how to build a wardrobe guide’ a magazine has ever published, but with good reason. ‘Blazer’ is a broad term these days; are we talking navy fresco, hopsack or flannel? Single or double-breasted, structured or unstructured? My advice – rakish individual that you are – is to indulge in as many blazers as you can justify. A structured double-breasted blazer in flannel with gold buttons has a regal quality that can’t help but impress. Unstructured single-breasted mesh blazers with light horn buttons are great for travel. Lighter navies are less formal, proper midnight serge is very dressy. When investing in a blazer, take some time to think about what’s going to work best for you long-term. Start with a versatile travel-friendly design, and you can slot a double-breasted statement piece in at a later date (I did this the wrong way round, and regretted it for over a year). Again, this might not be news to you, but it is a reality. Second to the navy blazer is a few pairs of good grey flannels. They’re a timeless combination and really will take you anywhere. 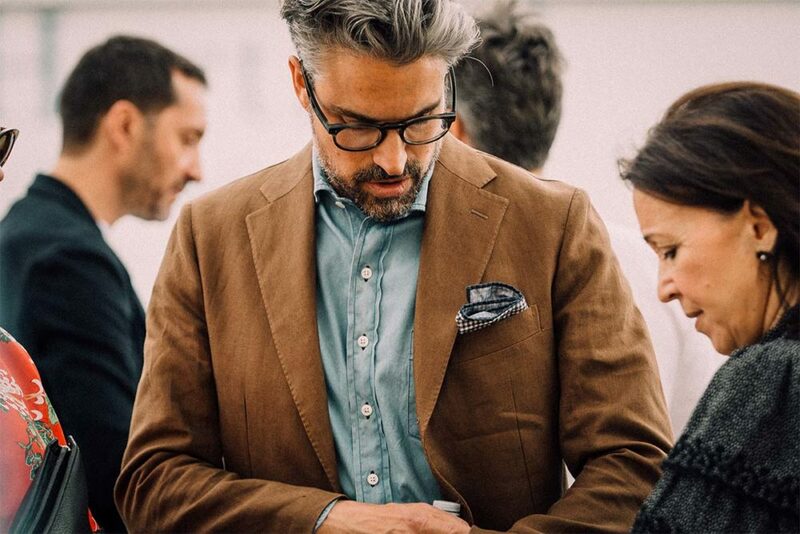 Start with a mottled mid-grey, and as your wardrobe grows you can slot in charcoal, slate, and dove grey pairs behind your workhorse trousers. No two pairs of grey flannels are the same – and you can never have enough. 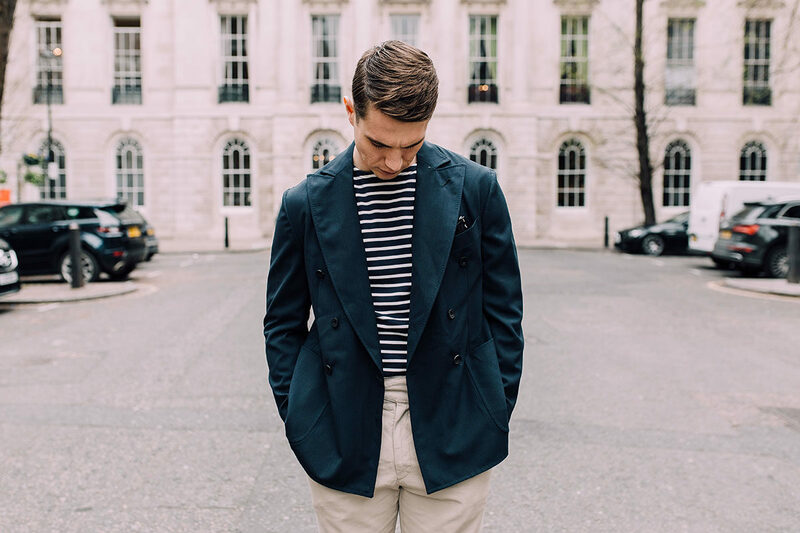 Try Kit Blake’s for a handsome pleated model of the British tailoring school, and Edward Sexton’s Hollywood tops for a pair of chic trousers that are a little bit different. This is where we can start to mix things up just a little. I’m emphatically not including plain black Oxfords in this edit. 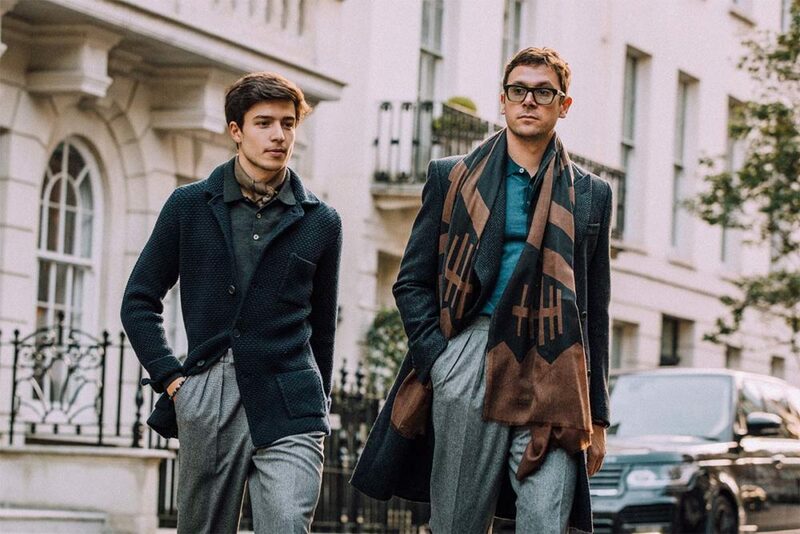 We’re in the 21st century now, and you needn’t be shackled to Edwardian office dress codes. 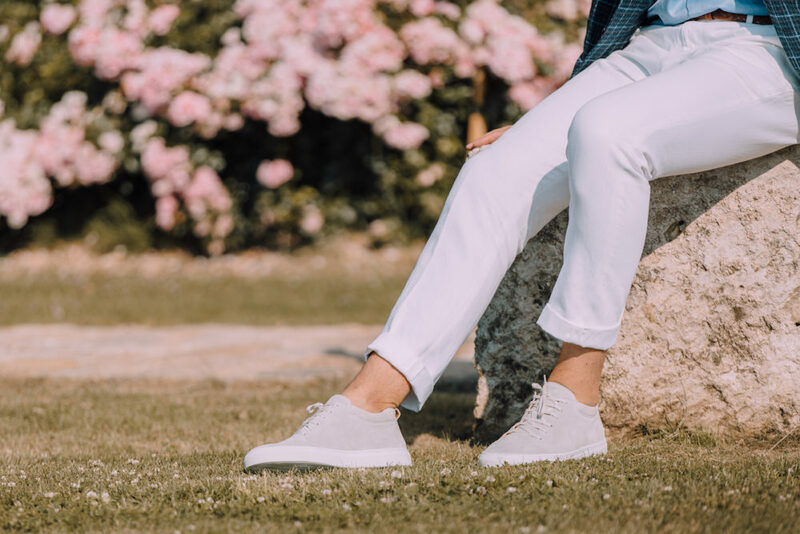 A pair of smart suede sneakers from an independent designer is perhaps the most versatile pair of shoes you could wish to own today. Choose a sleek khaki or neutral coloured suede and they’ll work with everything from tan brushed cotton trousers to a dark flannel suit. The raglan coat is having a moment right now. It was originally a military-spec riding coat invented for the one-armed Lord Raglan; the design’s generous armholes helped him to shrug it on without help. Today, its clean A-line silhouette feels thoroughly modern, and whether a lightweight shell raincoat from the likes of Camoshita, or a heavy Ring Jacket tweed overcoat that’s brought-in with a belt, it’s a fashionable, yet timeless choice – more interesting than a covert coat and less intimidating than an Ulster coat. The denim shirt is the new white shirt, principally because you can dress it up or down with almost anything. 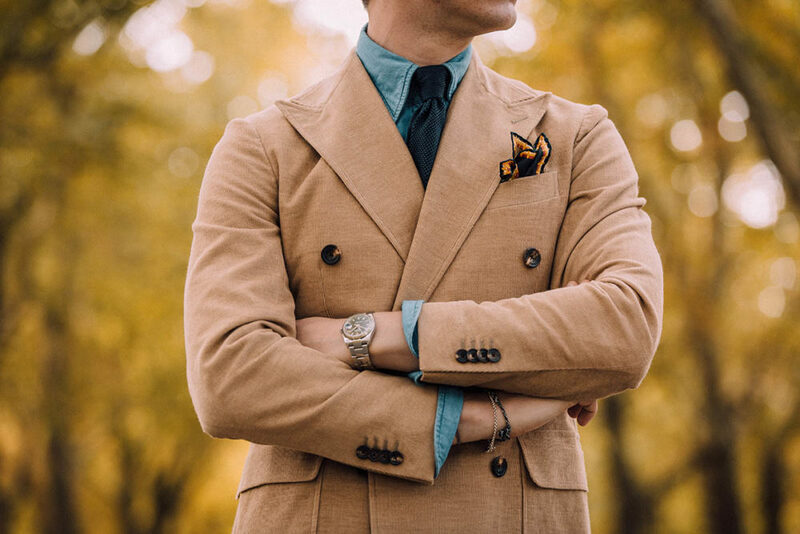 Whether a corduroy suit and knitted tie, or with a linen safari jacket and selvedge denim jeans, it always looks put-together. If you choose a shirt with a sharp spread collar, or a well-proportioned button-down, it also sits across the fine line between formal and casual just so. It’s even one of those wardrobe staples that improves with age; the more you wear and wash yours, the softer and more characterful it’ll become. While we’re thinking shirts, today the overshirt has become a thinking man’s alternative to a sports coat. 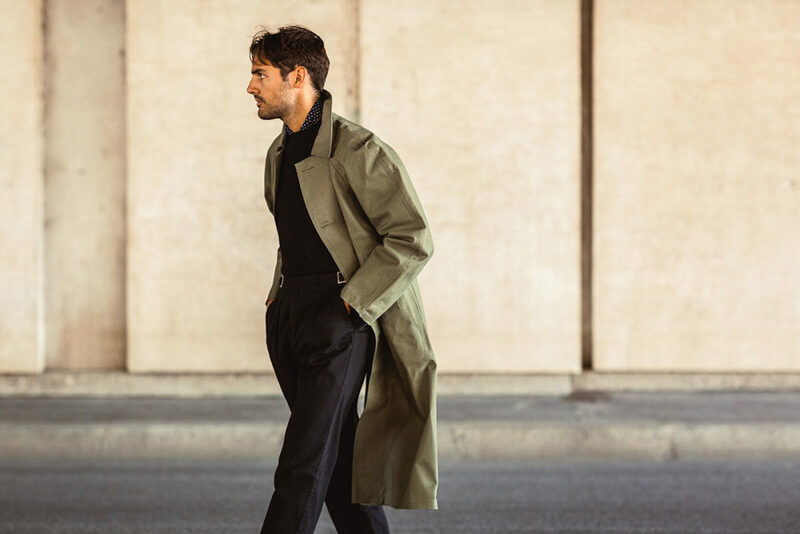 Versatile, sharp and yet quite tailored, an overshirt’s straight cut, wealth of pleated pockets and tall revere collar make it an indispensable layering pieces, which you really can wear with tailored trousers over a spread collar shirt and tie. 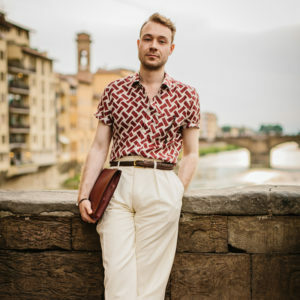 Of course, there’s a time and a place for this, but I love to wear overshirts in the summer with an Oxford button-down, breezy linen trousers and a silk and linen-blend tie. Plus, if you swap out the linen trousers for flannels come autumn, this is great smart-casual look to take you into winter-proper. If in doubt, Drake’s and Rubinacci make handsome overshirts season-on-season. Sounds obvious, but the navy tie goes where no other ties will. I’ve spent many an hour agonising over just the right piece of neckwear to tie together a heavily patterned look, and when all else fails the humble navy tie steps into the breach. There’s an art to finding the right one though; look for texture, a ‘matte’ finish to your tie, and the darkest shade of navy you can get your hands on. Light navies are trickier to pair with other dark colours, and plain navy silk can look cheap. Best to seek out a silk knit, grenadine or a washed silk twill. It’ll look crisp with a classic grey fresco suit and a white shirt, with an indigo denim shirt and loud checked sports coat, and everything in between. Since we’re talking about the backbone of a contemporary wardrobe, the luxurious suede bomber is to your weekend wardrobe what the blazer is to tailoring: indispensable. Again though, there are a few things to consider when hunting one down. The bomber was originally a big, bulky garment, designed to trap excess air to keep the wearer warm, but these days it needn’t be. Trim, slim-fitting designs like Valstar’s pin-sharp A1 ‘Valstarino’ are an altogether smarter choice – they look and feel modern. The next thing to consider is colour, much like a tailored jacket, there can be tendency to choose something ‘fun’ and bright; burnt orange or dusty pink suede for example, but these will date. Navy, chocolate brown and tan won’t. 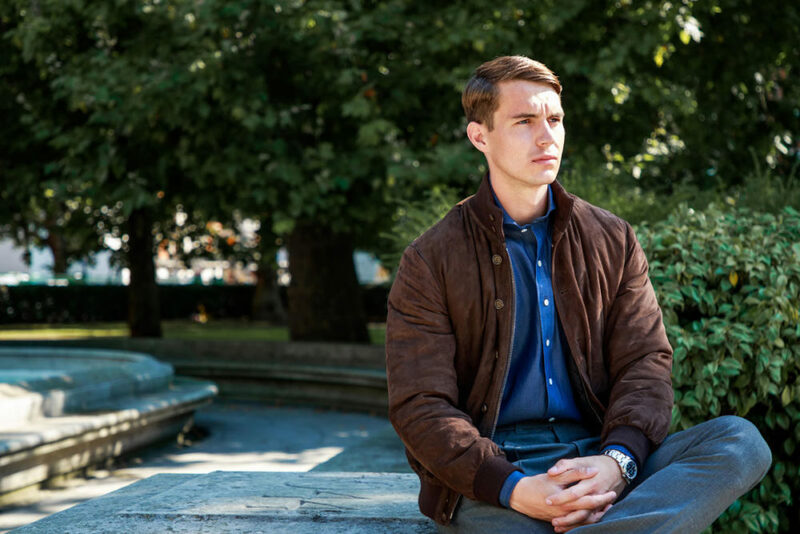 Make sure you’ve got a classic navy or tan suede bomber in your arsenal, before you are distracted with bright colours and strange, faddish cuts. Remember when it comes to all of this: you’re building a wardrobe that will stand the test of time, and that will flatter your form. Heaven knows you’re spending enough on it, so you might as well make sure you can wear it. We don’t do fleeting fashions at The Rake – and neither should you.